Top 25 Tech Companies in Construction! Construction Executive named ShareMyToolbox as one of the top 25 companies making construction more productive and profitable. Construction Executive published the original top 25 list in May 2018. Contractors are constantly looking for new and innovative ways to become more productive and profitable. Construction Executive highlighted 25 companies that are using technology to help construction innovate. These companies produce a wide range of software and hardware and represent some of the most well known brands in construction including: Viewpoint Construction Software, Trimble, Sage Timberline, Rhumbix, Avid Exchange, INEIGHT,Explorer and many more. ShareMyToolbox is excited to be included along side these giants. Our simple tool tracking solution is giving contractors and easy way to keep track of small tools and equipment. This simple solution is producing BIG results in productivity and profitability gains. It is fun to see how a simple solution can help a large industry get a little better. To learn more about ShareMyToolbox please visit us at Tool Inventory Tracking. To learn more about Construction Executive please visit them. 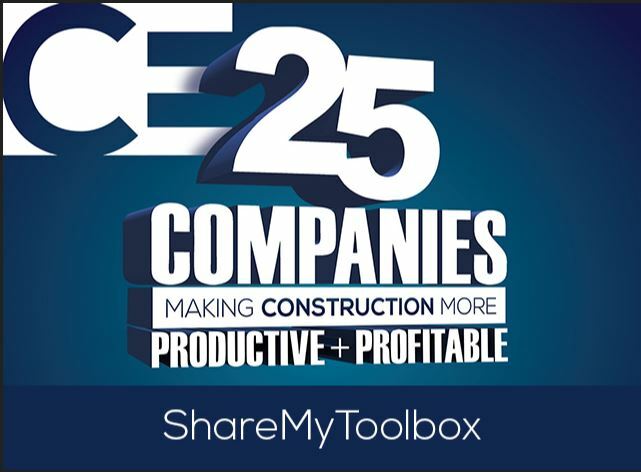 Construction Executive named ShareMyToolbox one of the top 25 companies making construction more productive and profitable. 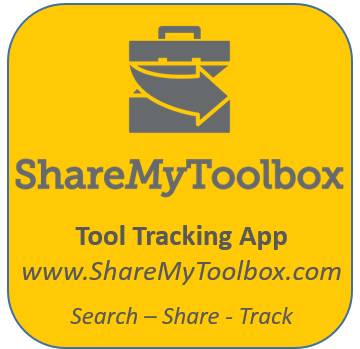 The ShareMyToolbox app helps contractors find, share and track small tools and equipment. Small tools and equipment are a big expense at most contractors and having an easy way to track those tools is a huge productivity and profitability boost for construction firms.